A Southern California native with over 20 years diverse real estate experience, Paige is highly knowledgeable about the San Diego area. With a reputation for honesty and protecting her client’s best interests, Paige implements creative deal structures, unique property search strategies and cutting-edge marketing technologies that provide unparalleled results. She is realistic and straightforward and often refers to herself with a smile as "the Realtor for people who don't like Realtors." In addition to being bilingual in English and Spanish, she has exceptional communication skills and a great sense of humor. She is experienced in construction and remodeling, interior design/staging, and property management. 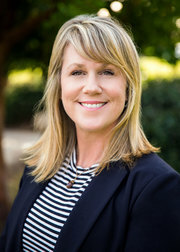 Paige is also a relocation specialist with a unique ability to help guide her client’s expectations to the markets realities and has an empathetic understanding of the challenge’s families face when making a move. Paige has been happily married for 25 years and is blessed with 3 adult children. Her love of real estate started when she moved to Colorado with her husband as newlyweds. Collectively, they built and successfully operated a full-service real estate investment and development company. She was also a top real estate agent with Coldwell Banker. Some years later and with the successful sale of their company, she and her family moved to Mexico in 2009 for a family adventure. She worked in real estate sales and property management and near to her heart, helped start a foundation to help kids with cancer. In 2015, she came back home to San Diego County for its beauty and lifestyle. She is grateful every day that she gets to call the San Diego area her home.